EXCLUSIVE: Jason Moring’s Double Dutch International has acquired international sales rights and will commence talks with buyers in Cannes on Super Troopers 2. Fox Searchlight will distribute the comedy crime mystery in North America, as it did on the 2001 original that grossed $18.5m. 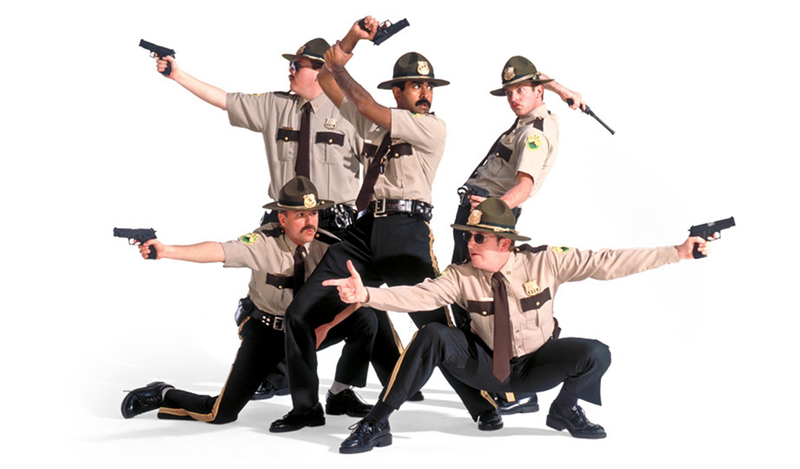 Jay Chandrasekhar, Kevin Heffernan, Erik Stolhanske, Paul Soter, and Steve Lemme of the comedy troupe Broken Lizard reprise their roles as state troopers with a penchant for pranks. Brian Cox returns as Captain O’Hagan. Chandrasekhar will once again direct and Richard Perello produce the story in which the troopers are dispatched to patrol the border with Canada. Super Troopers 2 supporters raised $4.4m in 28 days on IndieGoGo last year and it remains one of the highest crowd-funded films.